With our very small classes, each child is assured personal attention from our qualified and caring teachers. As a mainstream GDE-registered and Umalusi-accredited school, our Matrics write the same exams as the other private IEB schools you are familiar with. We’re extremely proud of our 100% pass rate and look forward to answering any questions you may have about EduInc. Every child will leave us as an independent, confident, thinking young adult with the best (and most meaningful) Matric they can achieve, ready to follow their dreams and shape the future. To grow children through unwavering adherence to our core values into the thought-leaders of the future. We open and operate boutique schools with an unwavering commitment to high academic standards. 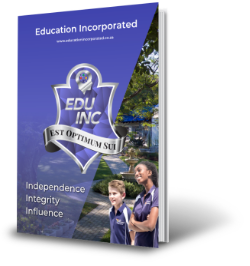 Education Incorporated is registered with the Gauteng Department of Education (JN700400746), Independent Examinations Board (IEB), Independent Schools Association of Southern Africa (ISASA) and Council for Quality Assurance in General and Further Education and Training (Umalusi). 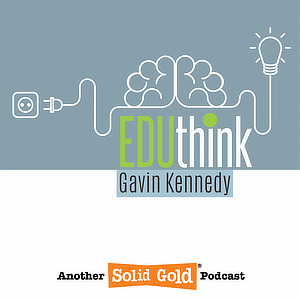 Listen to conversations and interviews on education-related topics that are important to today's families. Can I afford your fees? Is my child unhappy at school? Are you a mainstream school? Where is Education Incorporated situated? What do you really mean by "small classes"? Does "small classes" mean remedial? Why did you name your school Education Incorporated? What do you mean by "boutique school"? Does my child have the potential you're looking for? When a child begins their educational journey with us we understand that it is precisely that—a journey. A long-term process of individualised, whole-child development where potential can be discovered and honed. Where responsible, respectful value systems can be instilled, preparing each child for the world they will encounter after their time with us. We understand that a good education is not an event, but rather a process. Our educational philosophy understands that learning is about more than just text books and rote learning. We understand that in order to demonstrate academic development, the development of EQ (emotional quotient) and AQ (application quotient) are just as important. We dedicate time to working with our students on how to implement effective study strategies, how to work efficiently in groups, and how best to demonstrate the preparation students put into assessments and exams. The importance of creative talents in the fields of drama, music and art can be as important to whole-child development as any academic pursuit. While EduInc does not offer formal arts subjects at FET level, we do accomodate young musicians, actors, models and artists who need to juggle gruelling audition, rehearsal, performance and competition schedules with a full academic programme. Our dedicated staff is always willing to assist these students attain their goals on stage, in studio and in the classroom. 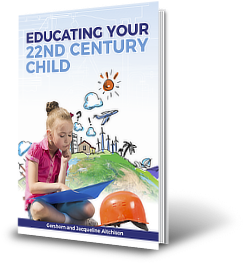 Students live in a world that is evolving and developing at an exponentially faster pace. Our focus is on critical thinking and the mastery of skills required to understand our changing world. EduInc is home to sports achievers who complete at both Provincial and National levels. These are students who are required to balance gruelling training and competition schedules with a full academic load. Our dedicated staff works to assist these students in attaining their both sporting and academic goals. We focus on creating an environment that recognises and nurtures the potential of each individual child through a mentored style of teaching, in very small classes, allowing them to identify their strengths in a supportive, collaborative environment. Each new student completes a questionnaire that determines which of four Houses, named for flying mythological creatures, they will be allocated to. They are then issued a pin to wear on their uniform to indicate their House.